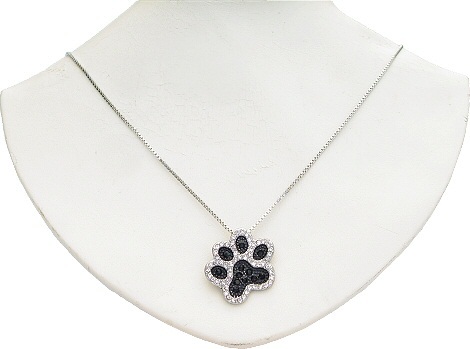 This crystal paw print necklace features black and clear crystals set into a funky silver coloured metal pawprint. 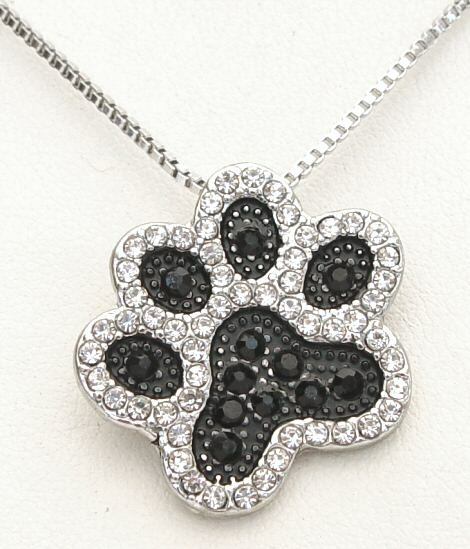 The paw is approximately 2cm x 2.3cm and comes complete with a 46cm (18 inch), 1mm, silver plated box chain. 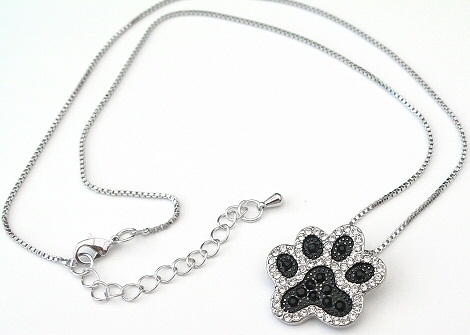 The chain has a 5cm (2 inch) extension chain so you can wear it as a longer length if required.